Saif Ali Khan finally clears the air about starring in Love Aaj Kal's sequel and said that he will not be a part of the film starring Sara Ali Khan and Kartik Aaryan. Imtiaz Ali’s untitled film which is a sequel of Love Aaj Kal stars newcomer Sara Alia Khan and Kartik Aryan. Recently, the team wrapped up the Delhi schedule and celebrated the occasion. 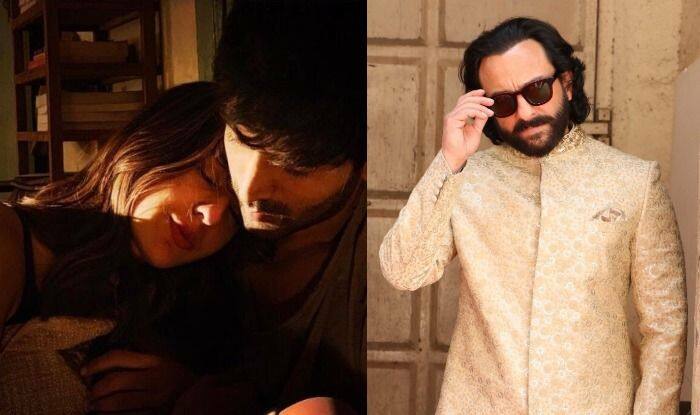 While Sara and Kartik are confirmed to be starring in the sequel, rumours have been doing the rounds that Sara’s father Saif Ali Khan, who was a part of Love Aaj Kal will also be starring in the sequel. Now, Saif confirmed and said that he will not be a part of the sequel. In a recent interview with Pinkvilla, Saif cleared the air and said, “I’d honestly want to play every role provided it’s interesting enough and if the time permitted it. Though Imtiaz was very kind to offer me a part in the sequel of Love Aaj Kal, I haven’t signed the film contrary to the rumours. It’s a lovely movie and I’m very excited in particular that Sara is working with Imtiaz Ali.” He then went on to wish the young actors and said, “I wish both the young stars, Sara and Kartik, the best”. Earlier rumours suggested that Saif will be seen playing the role of Kartik’s father in the film. A few days ago, the team wrapped up their Delhi schedule. Kartik even shared a wrap-up party video with the entire team of the film except for Sara. Love Aaj Kal (2009) was a romantic-comedy film. The film starred Saif, Deepika Padukone and Rishi Kapoor in pivotal roles. The sequel is scheduled to hit the screens next year.